Datatronics is your home for complete computer and printer sales, repairs and maintenance. Located in Omaha, Nebraska with offices in Burnsville, Minnesota and suburban Chicago, Illinois. You can trust us to be honest and upfront, providing you with exceptional service at a fair price. 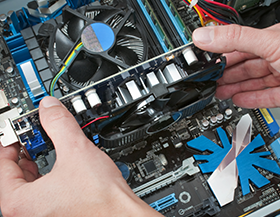 Our technicians have an extensive IT background and can handle nearly any issue.